Downtown Houston is the heart of the largest city in the Lone Star State. 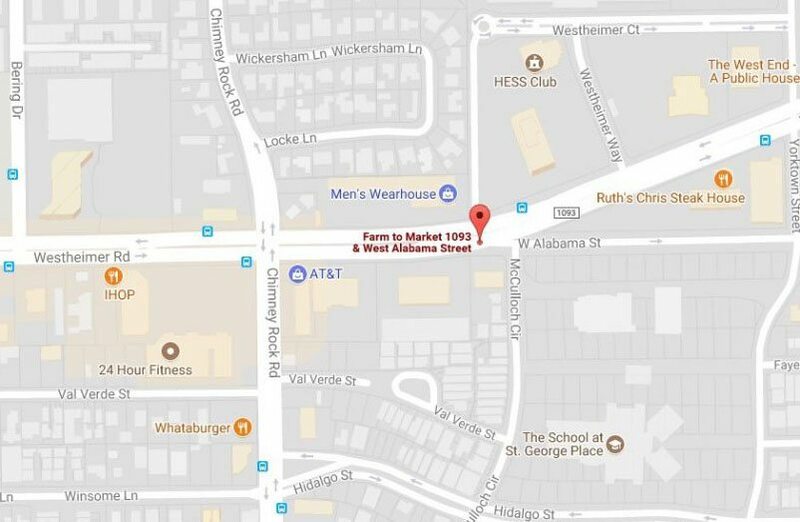 It encompasses the neighborhoods of Midtown, Montrose, and Memorial Park primarily—although its roots spread through to Meyerland and Southeast Houston. As an intellectual hub, it is never lacking in educational institutions and recreational facilities. The University of Houston is located along the HOV Lane Gulf Highway, and Hermann Park is adjacent to the South Freeway. Texas Southern University is between these two locals. As for the city itself, Downtown Houston is where the residents of the different communities all meet up to enjoy an eclectic mix of entertainment to spice up their nightlife. With a growing population, Downtown Houston has everything covered for an exciting and contented lifestyle that keep its residents happy. 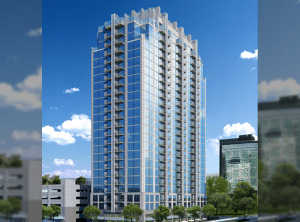 So if you are looking for luxury apartments in Houston, Downtown is the place to be. People have kept abreast of upcoming events at the Toyota Center or in the world-famous Theater District. Jamming good times are in plentiful supply at Houston’s House of Blues or the Revention Music Center. It is a pedestrian-friendly location with skywalks and tunnels connecting the high-rises that dominate the city. City services are everywhere, from Market Square Park to the Civic Center. Out of all the locations in the state, Downtown Houston represents the most successful fusion of professional life with a robust and familial social atmosphere. Downtown Houston is the perfect spot for residents who enjoy urban living. Choosing a luxury apartment in this community gives you exactly that plus varied options of entertainment, lush green spaces, a flourishing restaurant scene, and great sports amenities. 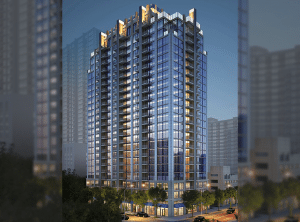 Development of spacious luxury apartment units for rent or sale in Downtown Houston seems to be a never-ending process, with dedicated real estate companies such as Aloft opening up new ventures between Fannin and Walker streets. This is just an example of the more than $4 billion in the past couple of decades that has gone into upgrading the Downtown Houston scenery—from the establishment of upscale residential buildings to the building of sites for restaurants and boutiques for the growing and prosperous population. 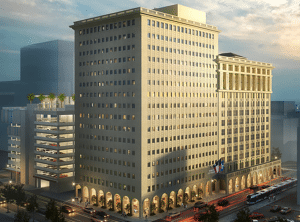 It is an exciting time to be a part of the Downtown Houston residential scene. The world-class luxury apartment units and condos for rent or sale possess all manner of accouterments. 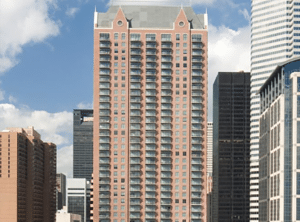 In the Central Business District, the Skyhouse Houston offers rental or for sale apartments with one, two, and three bedrooms on Main Street. The Loft is a regal-looking structure on Emanuel St., boasting of single- and double-room units. These are just a couple of examples of the upper class living arrangements available in Central Business District. 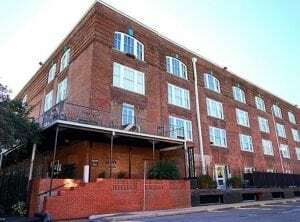 There are also condos available on Mckinney St., Main St., and Wood St.—in any part of Downtown Houston you might favor, you are sure to find the right spot with the help of a capable and professional real estate agent. The revitalization efforts of Downtown Houston began in the year 1995. These efforts are projected to five key goals: to recruit retailers, tenants, and investors; to promote diversity; to make Downtown Houston a clean and safe community; to renew the urban core of the city; and, to build a lasting constituency. Today, Downtown Houston, Texas, is home to many luxury apartments, high-rise residential buildings, and real estate businesses. Empty nesters, reverse commuters, urban professionals, and small families are the types of residents that are attracted to living in the Downtown Houston location. Those who wish to experience something new and crave for urban adventure, Downtown Houston is the perfect location to find the ideal rental residential unit, a luxury apartment or other residential buildings for you and your family. Here, you can always satisfy your appetite for different and new flavors because Downtown Houston has an array of restaurants that offer cuisine from all over the world. 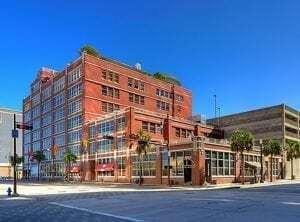 Additionally, you can find the best luxury apartments located within this neighborhood that are a few stretch to the ballpark, the MetroRail, and the Historic Square Park. Downtown Houston, Texas, definitely has it all when it comes to outdoor comfort and lifestyle. Considered as one of the fastest growing urban residential areas, Downtown Houston is the location for numerous residential towers and high rise apartments built by renowned real estate companies. 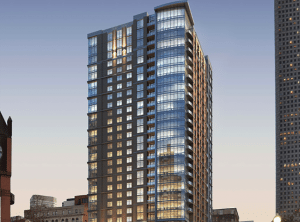 One Park Place, for example, is a high rise luxury apartment in Downtown Houston that boasts of 37 stories and 346 units. This is also the first residential high-rise luxury apartment building in this area. Residents of this community enjoy over-the-top amenities that include a pool terrace located on the eighth floor, a parking garage, on-site storage facility, walking track, a bicycle garage, and valet and concierge services. 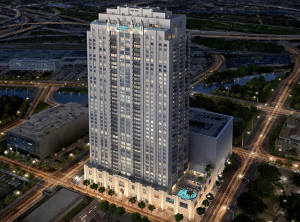 This luxury apartment is proof that residential demand in Downtown Houston, Texas, is on the rise! These days, more and more people make plans to move out from suburban areas to Downtown Houston. New residents are definitely enjoying all the comfort and convenience that this metropolitan hub has to offer. Live the urban lifestyle in Downtown Houston and allow yourself to experience the reasons why residents and visitors see this community as a place that offers the kind of life-work balance. Live, play, dine, and learn in Downtown Houston! The Skyline – This lofty section of Downtown Houston is fittingly the call the daytime homes of many of Houston’s working professionals. The skyscrapers that dot its skyline are very much accessible through the underground tunnels that connect them to each other. 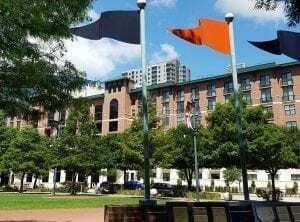 Minute Maid Park – This is the home of Houston’s professional MLB Astros team which is surrounded by numerous restaurants and family-friendly activities. The surrounding area is worth exploring because it guarantees that there is always something for everyone. AMC DINE-IN HOUSTON 8 (Formerly SUNDANCE CINEMAS) – AMC Dine-In Houston 8 is Downtown Houston’s premiere movie theater. The theater offers drinks and food, and guests can reserve seating for all shows. In addition, when you bring your parking ticket to the box office, you can enjoy free validated parking. Local Food – Dig into mouthwatering Gulf shrimp ceviche, red snapper campechana, sesame crusted tuna, and more in this 10,000-square-foot, three-story space in Downtown Houston. This is also a perfect venue for corporate events and other celebrations. 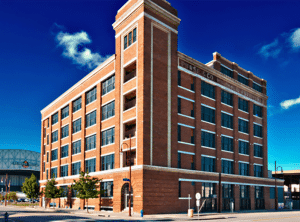 To find out more about the luxury accommodations available in Downtown Houston, contact JUVITAE Luxury Leasing. We are the trusted provider that puts our customers first! If you are looking for the best Downtown Luxury Apartments, Julian and his team will seamlessly guide you through your luxury acquisitions. The JUVITAE Luxury Leasing Team will sincerely attend to your concerns and provide you with details other realtors might not be willing to do such as personal transportation to and from the airport or serve as guides who will assist you in quickly acclimating to your new city. Being able to provide customer service that encompasses a concierge attitude is paramount to Julian and his team. Clients’ reviews about their experience with JUVITAE Luxury Leasing emphasize that their relocations and acquisitions were seamless, enjoyable and satisfactory. In choosing your luxury apartment in the Downtown Houston area from the listings, Julian and his team will apply their expertise in strategic planning, logistics coordination, and negotiation and transaction management. 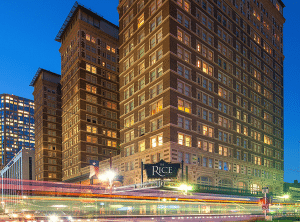 Are you now ready to find the best luxury apartments in Downtown Houston? Contact JUVITAE Luxury Leasing today and speak with a seasoned Luxury Real Estate specialist who will give you a sense of confidence greater than that provided by other real estate service providers. With JUVITAE, experience the luxury living that suits your lifestyle!